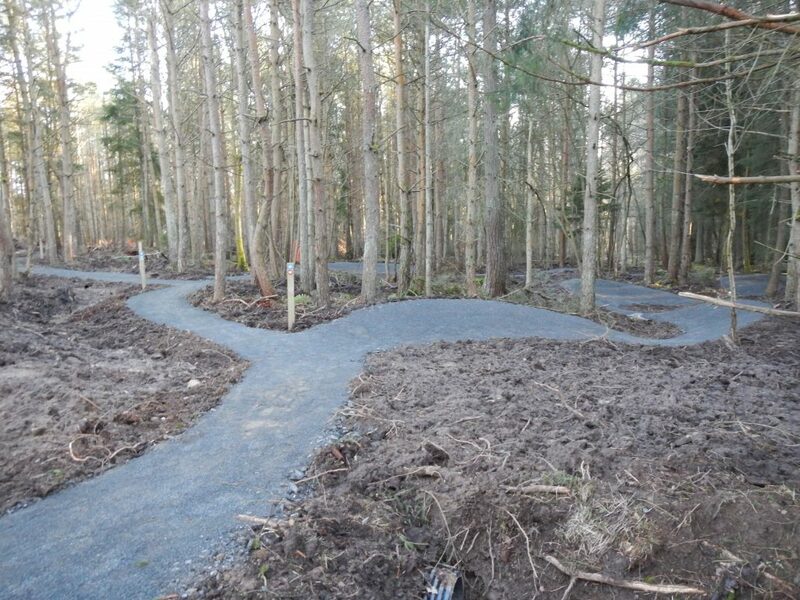 MTB Skills trail construction contractor Conservefor were appointed to work alongside world class trail designers Architrail to construct a skills area in Templeton woods on the outskirts of Dundee with a focus on improving the skills of younger riders for use on more difficult trails. 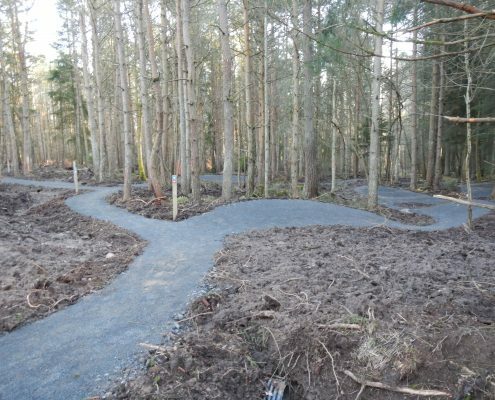 Architrail’s design included man made replicas of most features you would find when riding at a trail centre such as Drop offs, Rollers, Berms, Log Rides, Jumps, Table tops, Rock rolls, Rear wheel lifts and Technical climbs along an blue grade trail. 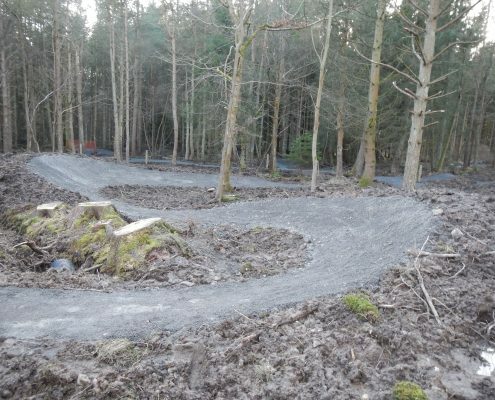 For the more experienced riders a fast sweeping red grade trail with large berms would run from the top of the hill before joining back onto the easier trail for the final ascent. 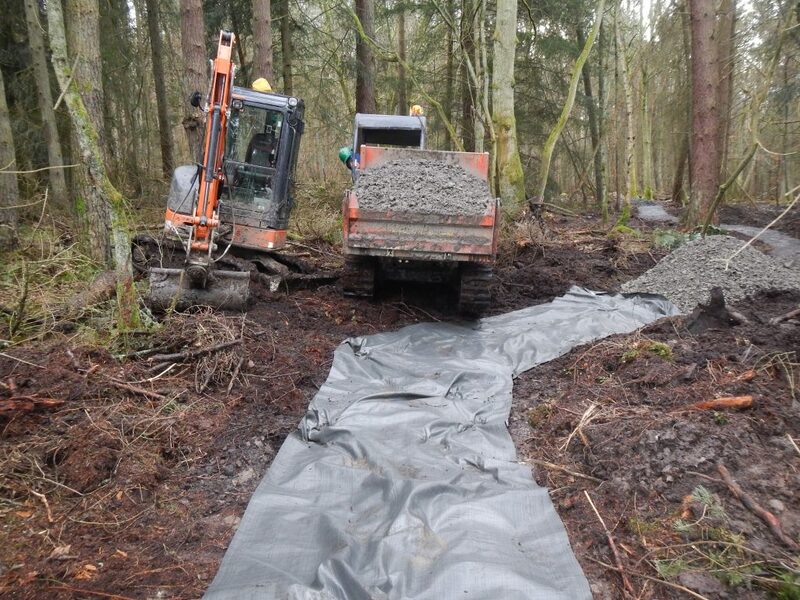 Conservefor deployed a MTB skills trail construction team to work closely with Architrail using bespoke 3 and 5 Tonne excavators with tilt rotate attachments and 3 tonne tracked dumpers. 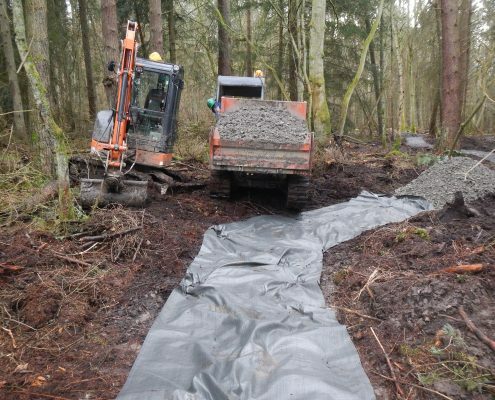 Our Trail building plant operators set to work importing local stone and large boulders onto the trail line and using our bespoke excavators started work creating the trails, installing the technical trail features and landscaping. 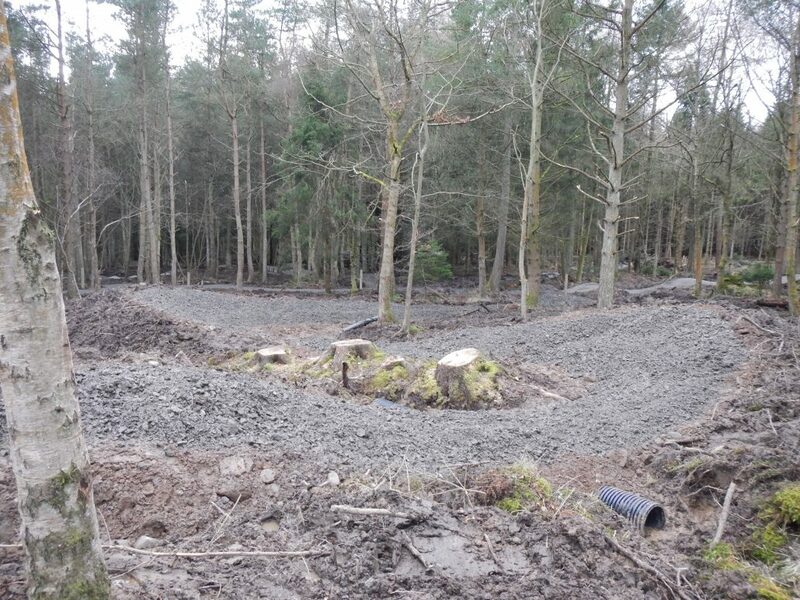 The forestry area had not been in operation for some time and as such the existing drainage and access routes were blocked causing the area to become water logged and difficult to enter. 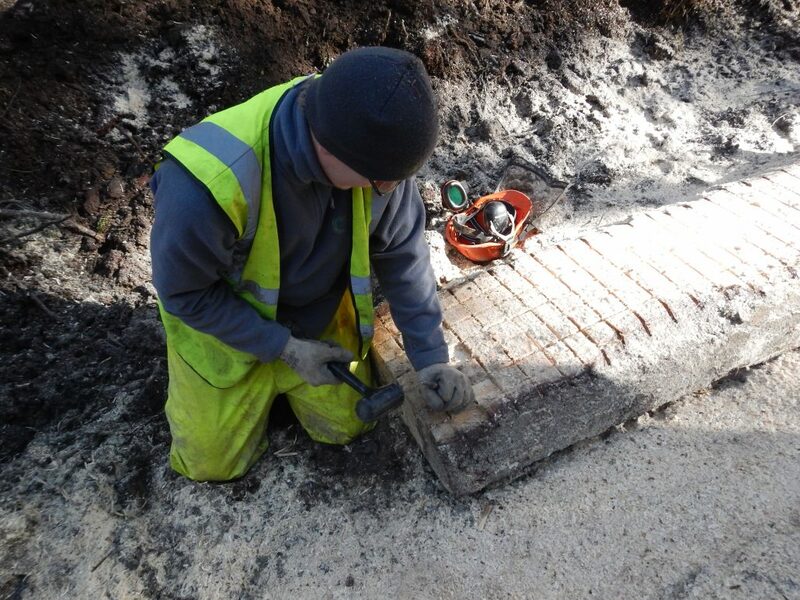 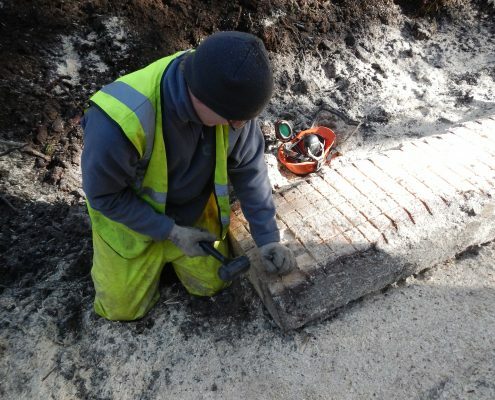 Great care was taken using bog mats, wide tracks, biological oils and lubricants to negate the risk of environmental damage caused by sunken machinery. 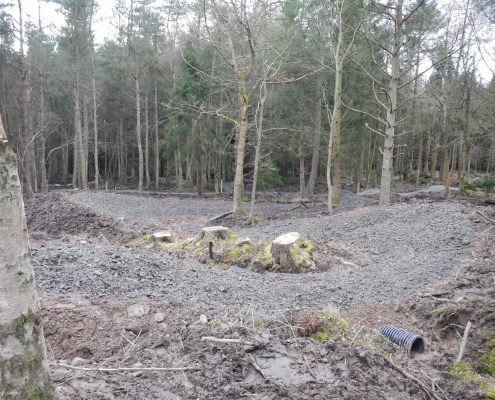 An extensive system of new drainage ditches and regular piping under the trails were installed as well as clearing out old ditches to ensure the trails stand up to the test of time and any wet weather thrown their way. 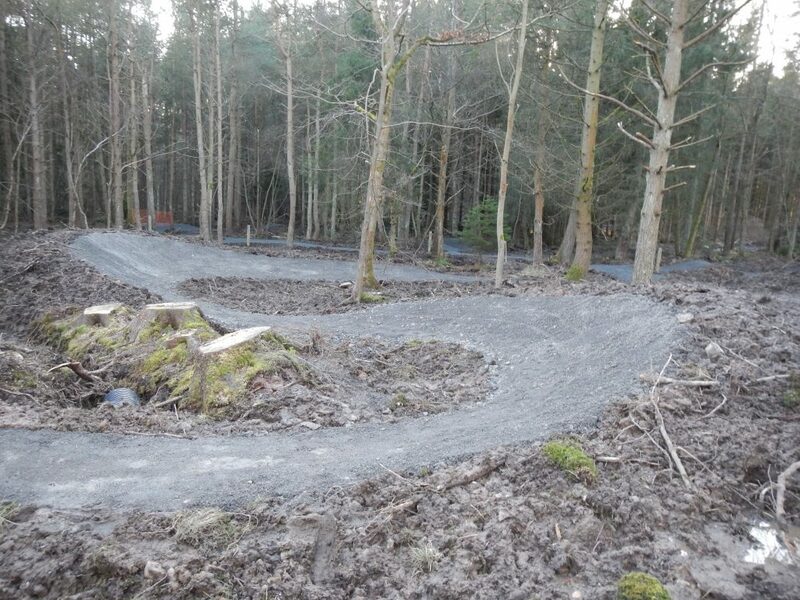 The finished skills trails are perfect for younger or less experienced riders to practice and improve their skills before venturing out onto more difficult trails yet still being enjoyable by riders of all skill levels.